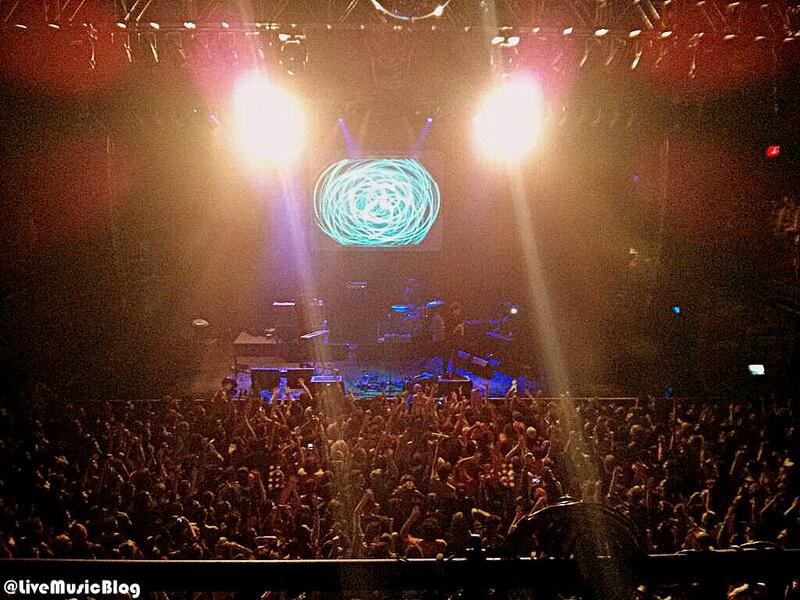 Last night Tame Impala ended their North American tour in style with a sold out show at Boston’s House of Blues. 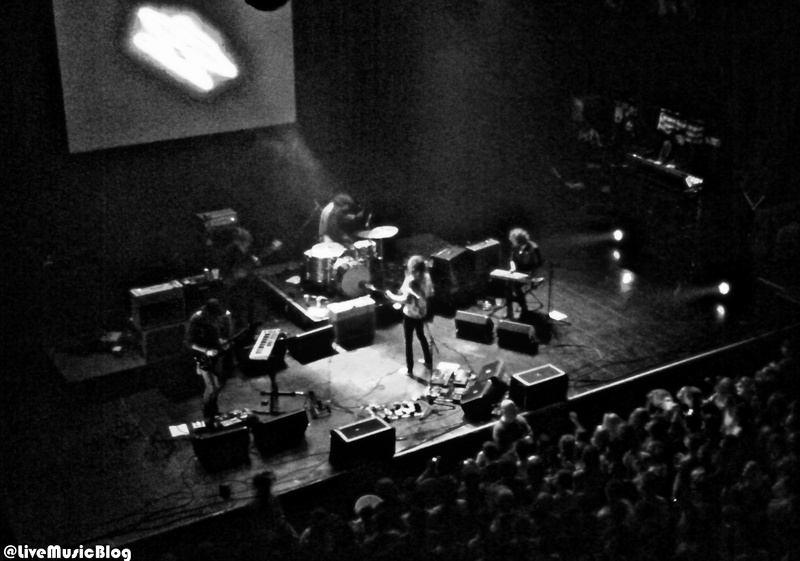 To say that Tame Impala is on an upward trajectory is an understatement. In just under two years these Australian psych-rockers have played Boston three times, with each show increasing in size and intensity. In the spring of 2011 the band was playing to a ¾ full Paradise Rock Club which has a capacity of about 750. One year later in the fall of 2012 they were selling out the Royale which holds just over a 1000 and last night, despite being a rainy Tuesday, the sell out crowd was over 2400 strong. Just like the smaller shows before it, once again the Boston crowd was fully amped up and when the pysch-rock jams got dark and dirty, so did the Boston crowd. Looking down from our box seats on the third level we began to witness the House of Blues’ floor shifting and swirling as the sea of people turned into a fierce mosh pit filled with the willing and unwilling alike. The floor transformed into a crowd surfers paradise with brave fans riding the human waves of energy until security snagged them or they were absorbed back into the crowd. (see the video for “Half Full Glass of Wine” below at the 5 min mark until the end for some footage). At the end of the night, the band took a moment to thank the fans and their staff and crew for an amazing tour. If this band continues their upward ascent I have no doubt that we could see them again soon at a larger outdoor venue like Boston’s Bank of America Pavilion (capacity 5000).